My short films have been selected to 30 film and video festivals around the world. Some of the venues that have screened my films include the American Cinematheque (the Egyptian Theater in Hollywood), the National Cinematheque of Mexico, the Uruguayan Cinematheque and Dracula's Bram Castle in Transylvania. Two of my films were broadcast by Cinemax to all of Latin America. My films have also been included in several episodes of the U.S. syndicated show SPROCKETS AND SPLICES. Other networks to broadcast my films in the past include Canal 22 (Mexico) and Nuevo Mundo TV (Canada). My films have been available on numerous digital media platforms since the pioneering days before YouTube and have been featured on websites curated by broadcasters, including FOX and CBC, and other media organizations such as the CFC and the NSI. Dhampira [HD] from ESF on Vimeo. 2 Strangers & a Foosball from ESF on Vimeo. 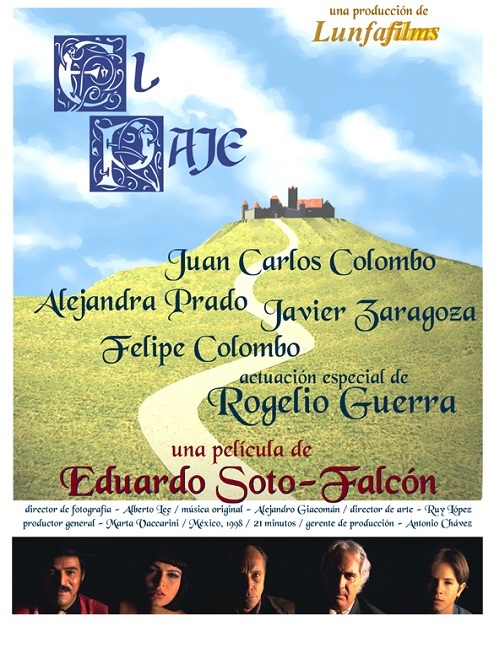 El Paje (English subs) from ESF on Vimeo.